Did we miss your favorite Holiday Craft Show? Click here to email us with the details. A.R.T Gallery & Patina at Home are co-hosting a pop up event featuring local makers & artists. Lots of handmade items will be available for gift giving! Admission is $3, free parking, 12 and under free. Over 100 vendors will be at La Salle for the annual Craft Fair sponsored by the LPC. Come see all the vendors to get started on some holiday shopping. Food and beverages will be available. A juried show featuring crafters, artists and makers from all over North America and draws shoppers from Ohio, Indiana, Kentucky and beyond. Don’t forget the first 100 shoppers get a custom swag bag designed this season by James Billiter and printed by DIY Printing. Brought to you by Westwood Works and presenting sponsor Kretschmar, Westwood’s sixth annual Deck the Hall event includes a holiday market full of local artists and vendors, free food from Kretschmar, hot chocolate, activities for all ages. This is the 2nd Annual Ohio Explored Holiday Maker Mart at Urban Artifact on December 8 & 9! Shop local and find all of the perfect holiday gifts in one location. Saturday, November 19th, 2016 from 9 am to 3 pm at Oak Hills High School. Hello. Do you plan to update the craft/art show list for 2018? Hi Elizabeth, I am going to do my best to update the list this year (and hopefully attend one or two). 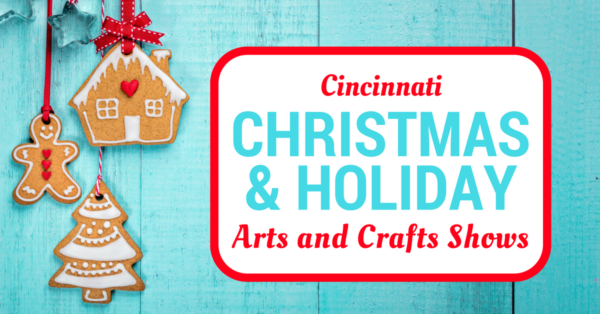 The Cincinnati holiday market is Nov1,2,3. This weekend.